The Big Guy and I went to see The Amazing Spider-Man this week. I wanted to see it but after the last series of Spider-man movies I was a bit apprehensive. This is a re-boot and not a continuation of the most recent movies. I thought the casting was better in this version. Andrew Garfield plays a more believable Spider-Man than Tobey Maguire. I also liked Sally Fields and Martin Sheen as Aunt May and Uncle Ben. I really thought Sheen played the part of Uncle Ben well. In my opinion Emma Stone, Peter’s love girlfriend, Gwen Stacey was a good choice as well. The supporting characters were well-developed as well. Fields and Sheen brought a lot of depth and believability to the roles of Aunt May and Uncle Ben. In my opinion one of the best supporting characters was Gwen Stacey (Emma Stone). She had more depth than Kirsten Dunst as Mary Jane. In the Spiderman 1-3, MJ was a very self-adsorbed flat character who didn’t really seem to care about Peter. While some of the plot line was a little absurd it is easier to buy that Gwen cares about Peter. 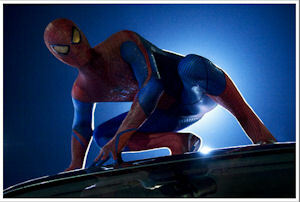 Overall, I thought The Amazing Spider-man was a good movie. I even thought the CG was fairly good.